Tue., July 17, 2018, 11:03 a.m. In the continued search for sources of renewable energy, crews will soon drill deep into the ground near some of the state’s volcanoes. The state Department of Natural Resources plans to drill this year near Mount Baker north of Baker Lake. Alex Steely, geothermal project manager for the agency’s Washington Geological Survey, said drilling will likely be done at the Mount Baker site in September after drilling is completed at a site near Mount St. Helens – an effort that is expected to begin this month. Two holes will be drilled near each volcano. Each 2-inch-wide, 1,600-foot-deep hole – about the size of a water well and as deep as about two and a half Space Needles – will take about two weeks to drill. Steely said recreation at Baker Lake and in the Mount Baker-Snoqualmie National Forest is not expected to be impacted by the work near Mount Baker, which will be done on forest land that is not open to the public. Temperatures will be taken in the drilled holes to determine how much geothermal energy is available. Geothermal energy is underground heat that comes from volcanic activity, the movement of tectonic plates or the radioactive decay of material deep in the Earth’s crust, according to a Natural Resources fact sheet. When geothermal energy is near the surface and accompanied by liquid such as water that can conduct it, it can be used to generate electricity. Assessing the state’s geothermal resources is one of several ways Natural Resources is working to identify renewable energy sources to replace fossil fuels such as coal and natural gas that are used to run power plants, according to an agency email. “We are doing this work because we believe strongly in helping to foster renewable energy and decarbonization of the energy grid,” Steely said. Geothermal energy sources hotter than 300 degrees could be used to operate a power plant, according to the fact sheet. Sources less than 300 degrees can be used to heat buildings and water. 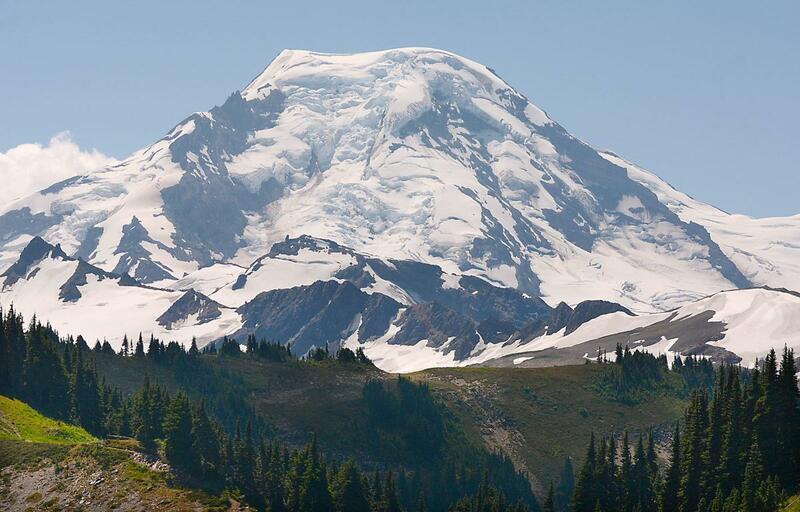 The Mount Baker site is promising because of previous evidence of geothermal heat, the presence of water and the proximity to infrastructure that would be needed to transmit electricity onto the energy grid. The U.S. Department of Energy has provided about $2 million in grant funding since 2011 to help pinpoint areas in Washington state where geothermal energy development would be most promising, Steely said. That money has been used by the Washington Geological Survey and U.S. Geological Survey for drilling and other geological surveys. If the holes drilled this summer show geothermal energy with temperatures above 100 degrees, additional drilling, temperature testing, rock analysis and mapping would be needed to determine the size and shape of the geothermal resource before a power plant could potentially be built in the area. Steely said that work would take several years and several million dollars to complete. Published: July 17, 2018, 11:03 a.m.